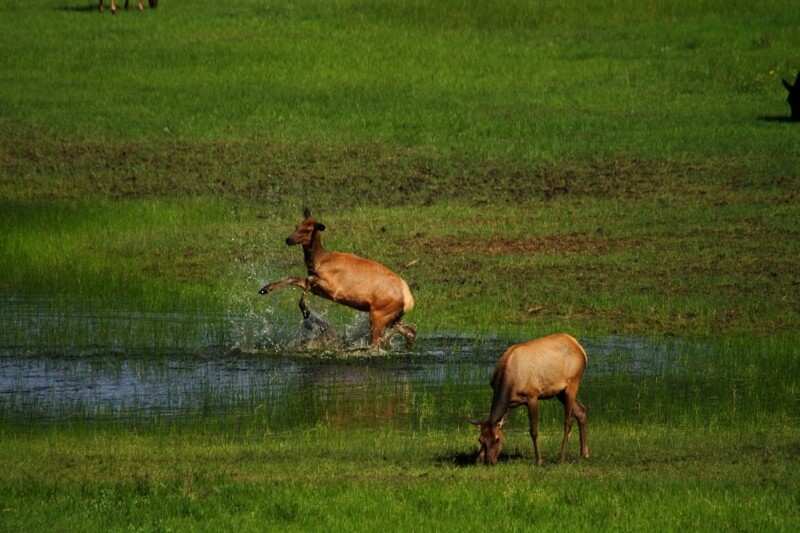 2013-06-20 I'm not terribly sure why, but this elk was frolicking and splashing around in one of the ponds at Sheep Lakes. I can only guess that the water helps in cooling or cleaning off. Rocky Mountain National Park, Colorado.